I have been reading Mrs. Loretta Cowman’s devotionals for many years now. I finally bought two new used ones from Amazon recently. My first copy of “Springs in the Valley” had fallen into the bathtub so many times it was turning to pulp. I am on my second copy of “Streams in the Desert” with a third copy stashed away (I’ll probably give it away before I need it) when that one finally bites the dust. I have read these individual devotions at least a dozen times each. I have dog-eared my favorite ones, the ones that have fallen on special dates. Even though I have read these every year, every year I receive a new message, a new encouragement, and a new insight. This past year was very difficult at home and at work. Severe personality clashes on top of hormonal upheaval made peace scarce and chaos king. At work, personality dynamics changed and I found myself in an uncomfortable work environment that I was unable to fix or escape from. 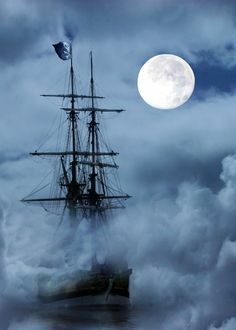 “….When you run into a spiritual fog bank, don’t tear ahead; slow down the machinery of your life if necessary, anchor your bark or let it swing at its moorings. We are to simply trust God. While we trust, God can work. Worry prevents Him from doing anything for us. If our minds are distracted and our hearts distressed; if the darkness that overshadows us strikes terror to us; if we run hither and yon in a vain effort to find some way of escape out of a dark place of trial, where Divine providence has put us, the Lord can do nothing for us. I printed out this quote and read it nearly everyday at work. I eventually spoke with my boss, but the atmosphere did not change. So I began to learn to trust God. It took awhile, but by the beginning of the year, I was learning to let it all go. Things had not changed, and, in fact, got much worse for a month or two. I made some difficult decisions regarding one of the kids, which turned out to everyone’s benefit. My boss ended up leaving his position and the difficult employee was in charge for a short season. But he abruptly quit. When the Lord does a work, it is mysterious how the transformation takes place. I am the typical hare…the one who “runs hither and yon in a vain effort to find some way of escape”, but the Lord has taught me to “simply trust” Him. My work and home environment has completely changed; perfect, no, manageable, yes. I know where to go when I “run into a spiritual fog.” Below is a poem from today’s devotion from “Streams in the Desert”. Across the soft green sod.